Aishwarya back from Cannes spotted at Mumbai airport. 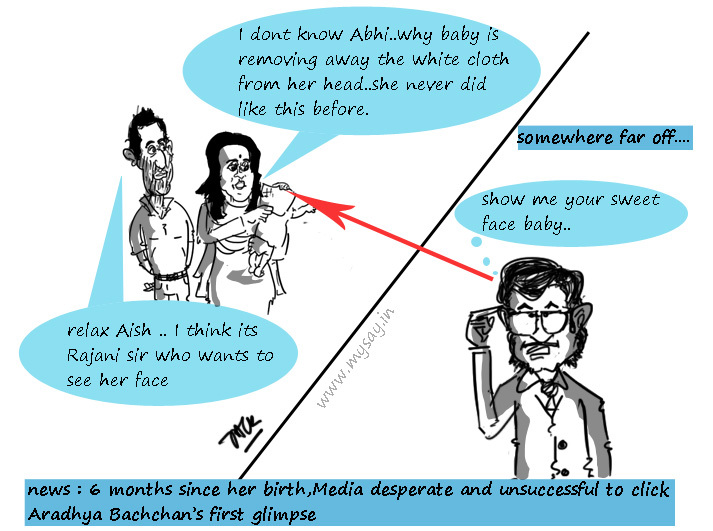 It has been 6 months since Aradhya Bachchan’s birth but the media is yet to click her face as mother Aishwarya always keeps her face covered with some cloth ! Well, Aradhya deserves that as she is a born celeb but fans and media are desperate to get a glimpse of the princess.